Listen on Spotify | Apple Podcasts | Google Podcasts | SoundCloud Andreas and Prakash catch up a little and talk about their love for Lizzo. Nick comes on for over-under and sparks debate on air. Finally, Imani joins for a discussion on their experiences in the queer poetry scene. Listen on Spotify | Apple Podcasts | Google Podcasts | SoundCloud This couple matched previously on Tinder. What happens when they meet in person?? Catch some trill co-eds, Mercedes and Maher, have a date on air! Listen on Spotify | Apple Podcasts | Google Podcasts | SoundCloud Bonding over regattas and injuries. Sounds like these co-eds are athletic. Catch some trill co-eds, Sarah and Aidan, have a date on air! Listen on Spotify | Apple Podcasts | Google Podcasts | SoundCloud Andreas and Prakash catch up after a short break. 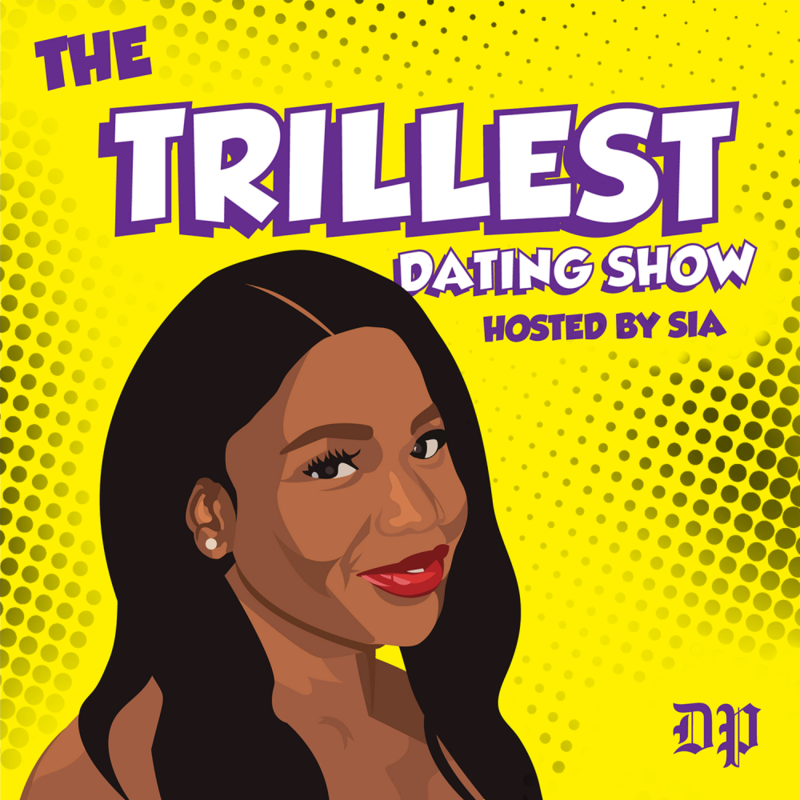 Then they hear from the more heterosexual end of the DP Podcast Department and chat with Sia, host of The Trillest, about situationships. Finally, Adiel joins to chat about gay twitter and internet phenomena. Listen on Spotify | Apple Podcasts | Google Podcasts | SoundCloud Soft tones and bonding over Swahili and knowledge on Africa. Sounds like these co-eds are cultured. Catch some trill co-eds, Maria and Justin, have a date on air! 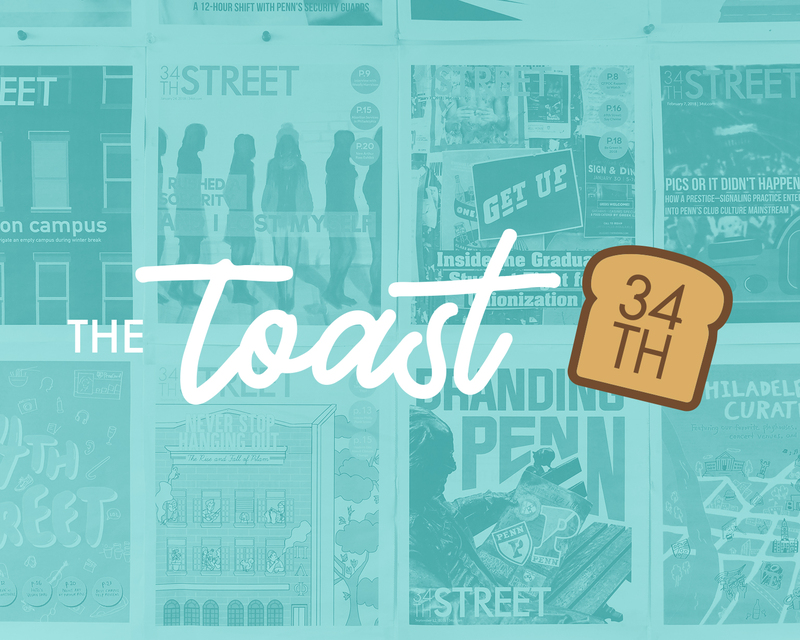 Listen on Spotify | Google Podcasts | SoundCloud In the fourth episode of “Positively Penn,” Host Madison Jaffe talks to the founder of the Penn Program for Flourishing, Faisal Kahn, about this unique program and much more! Hosted by Madison Jaffe. Theme music by Mawi (@mawi510) ft. Hugh Reynolds. Podcast art by Jess Tan. 28. Bottoms on Top Live Show! Listen on Spotify | Apple Podcasts | Google Podcasts | SoundCloud Andreas and Prakash go live! at the Kelly Writers House. The audience participates in a series of fun games and conversations about queer culture at Penn. Nick Joyner joins as a guest for a game of over/under. Listen on Spotify | Apple Podcasts | Google Podcasts | SoundCloud Fluent in Japanese and Spanish?? Sounds like these two have a lot to talk about. Catch some trill co-eds, Sarah and Austin, have a date on air! 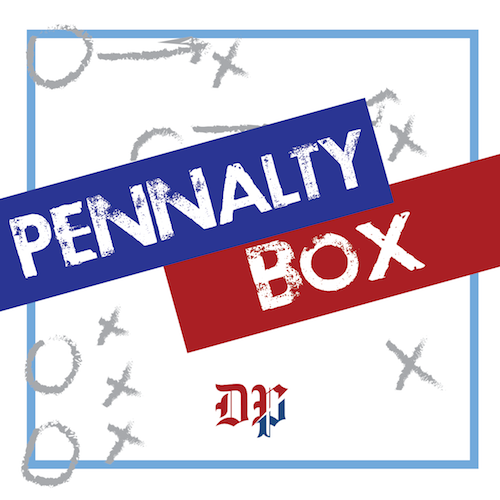 Listen on Spotify | Apple Podcasts | Google Podcasts | SoundCloud This week on the Pennalty Box, instead of mourning the end of basketball season, Sam is joined by news editor Gio Paz and sports editor Danny Chiarodit to discuss the Jerome Allen bribery scandal. 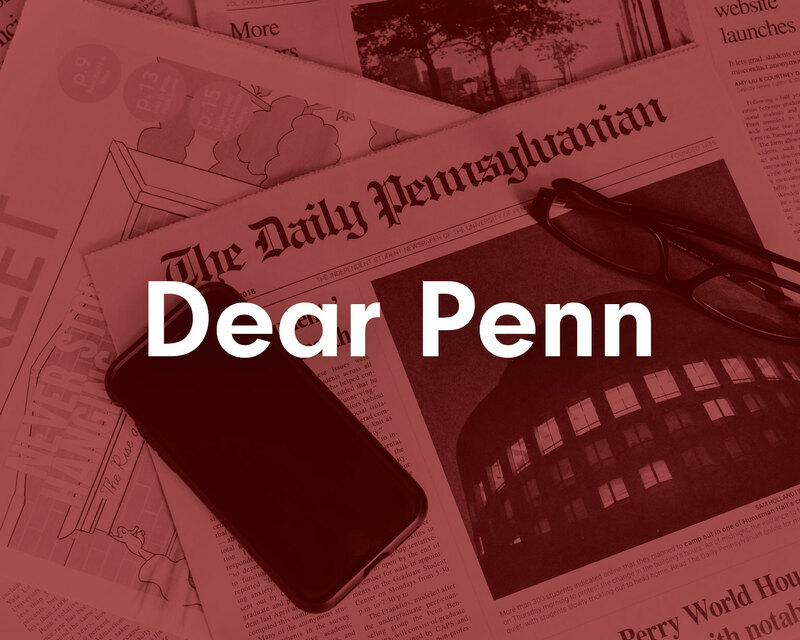 We discuss the background of the story and the history of Allen and Ira Bowman in Penn basketball, reactions to the story around campus, and the potential penalties and reforms that could come from the scandal. 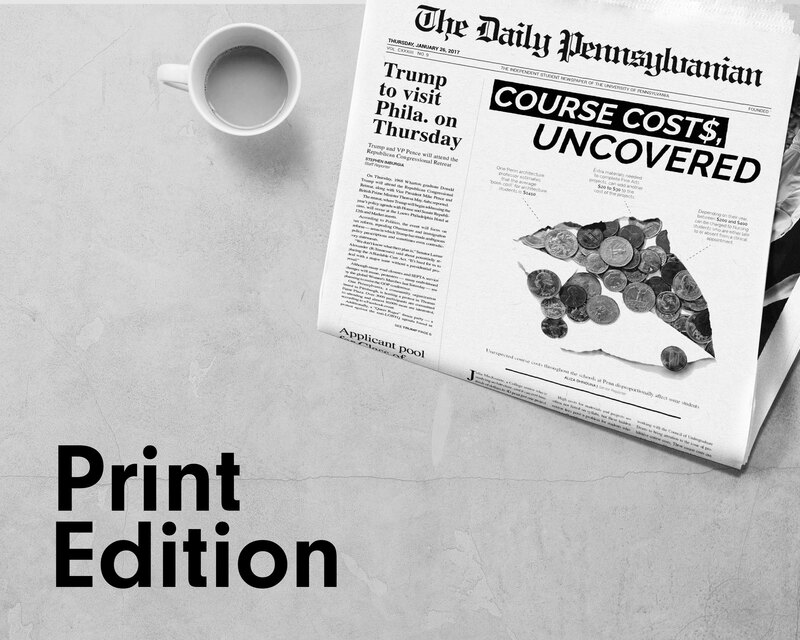 For a look behind the scenes and some analysis of the biggest story at Penn, check out the Pennalty Box! Note: In this episode, we said that Esformes paid Allen $400,000 in bribes. The correct figure is about $300,000 ($400,000 was the amount donated to Singer's charity). Read more on our website. Listen on Spotify | Apple Podcasts | Google Podcasts | SoundCloud Puffins and trips to China?? Sounds like this date has a lot of mutual connections. Catch some trill performing arts men, Connor and Kyler, have a date on air! Listen to Bottoms on Top on Spotify | Apple Podcasts | Google Podcasts | SoundCloud The Bottoms on Top live show will take place at Kelly Writers House on March 28 from noon to 1! 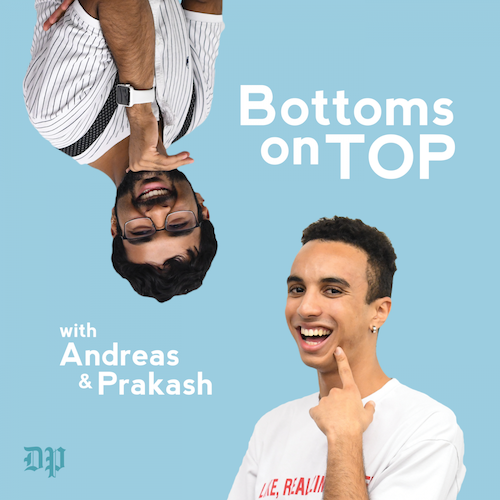 Join Andreas, Prakash, and some very special guests for a fun time with some super cool, Bottoms-on-Top-branded giveaways! See our Facebook event for more info. Listen on Spotify | Apple Podcasts | Google Podcasts | SoundCloud Clachit parties and New Age music?? Sounds like this date has a lot of unique hot takes. Catch some trill musical connoisseurs, Kayla and Dan, have a date on air! 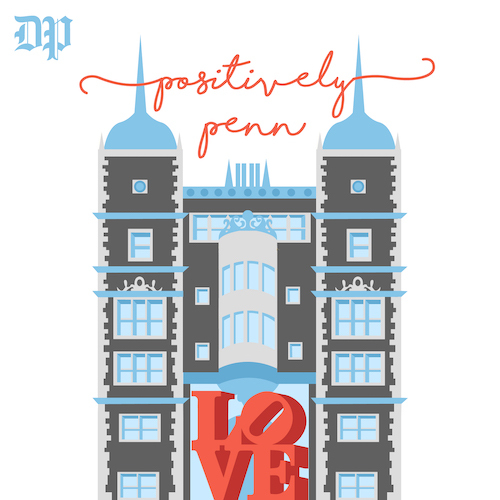 Listen on Spotify | Google Podcasts | SoundCloud In the third episode of “Positively Penn,” Host Madison Jaffe talks to the co-creator of the Penn Program for Flourishing, Laura Taylor, about this unique program and ways to increase happiness. Hosted by Madison Jaffe. Theme music by Mawi: @mawi510 featuring Hugh Reynolds. Podcast art by Jess Tan. Listen on Spotify | Apple Podcasts | Google Podcasts | SoundCloud Andreas and Prakash talk about production assistant, Sammy Gordon ’s, newfound fame. Later fellow radio host, Colin Lodewick from “Kitty’s Luncheonette,” joins for a sensual reading of fan-fiction. Finally, Rani Iyer and Teddy Kurkoski talk about being out in the workplace. Listen on Spotify | Apple Podcasts | Google Podcasts | SoundCloud This date has lots of mutual friends, wry humor, and housing mishaps. Catch some trill juniors, Elliot and Caroline, have a date on air! Listen on Spotify | Apple Podcasts | Google Podcasts | SoundCloud This date has references to international travel, yummy recipes, and a strike of deja vu. Listen to some trill co-eds, Abraham and Whitney, have a date on air! Listen on Spotify | Apple Podcasts | Google Podcasts | SoundCloud This week on the Pennalty Box, we discuss Penn men's basketball's heartbreaking overtime loss to Harvard, the end of women's hoops' perfect Ivy season (and why it doesn't matter), shoutouts for men's lacrosse, women's squash, and men's squash, preview some marquee matchups in college basketball, and this week's Hard-nosed Player of the Week goes to Princess Aghayere for her incredible endurance during women's basketball's double OT loss at Harvard. 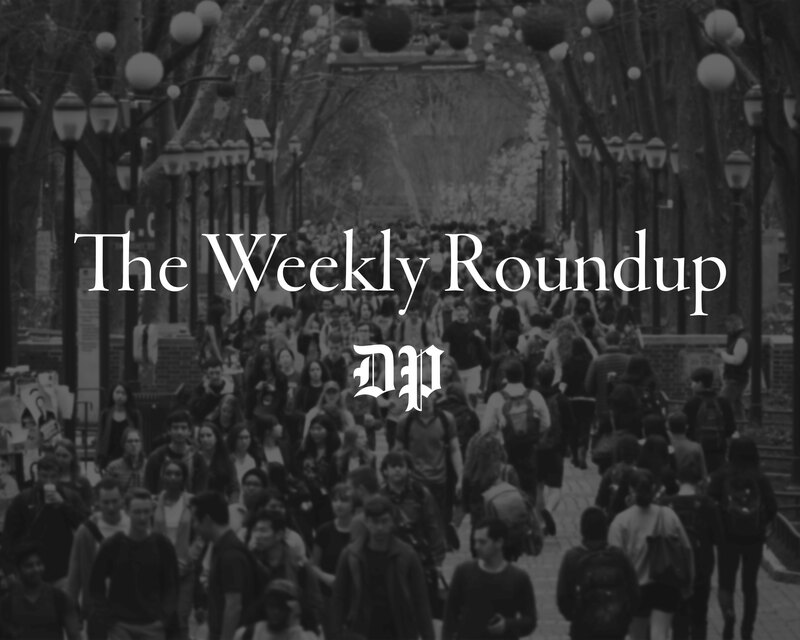 Our special guests this week are sports editor Will DiGrande and news editor Deena Elul. Listen on Spotify | Apple Podcasts | Google Podcasts | SoundCloud Andreas and Prakash catch up with each other and introduce the new podcast editor, Sam Mitchell. Later, Nick comes on for a game of “Over-Under.” Finally Caroline Bourneuf and Weslee Sixkiller share their experiences growing up queer in their small, conservative hometowns. Listen on Spotify | Apple Podcasts | Google Podcasts | SoundCloud This date has lots of giggling and cool views on poetry, physics, and deep sea diving. Catch some trill gals, Destini and Kelsey, have a date on air! Listen on Spotify | Google Podcasts | SoundCloud During the second episode of “Positively Penn,” Host Madison Jaffe talks to Math TA Ivan Li about his busy schedule and how he finds deeper meaning in his work. Hosted by Madison Jaffe. Theme music by Mawi (@mawi510) feat. Hugh Reynolds. Podcast art by Jess Tan.